I have many DSLR bags, and a few laptop bags, but when I need to leave my house with my computer and my camera, I need to have two bags with me all the time. 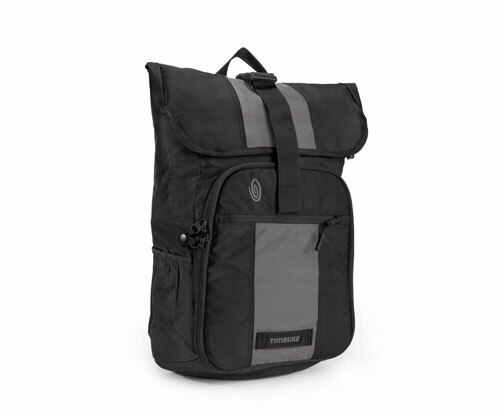 This is where a bag such as the Timbuk2 Espionage Camera Backpack can be used to simplify your life. 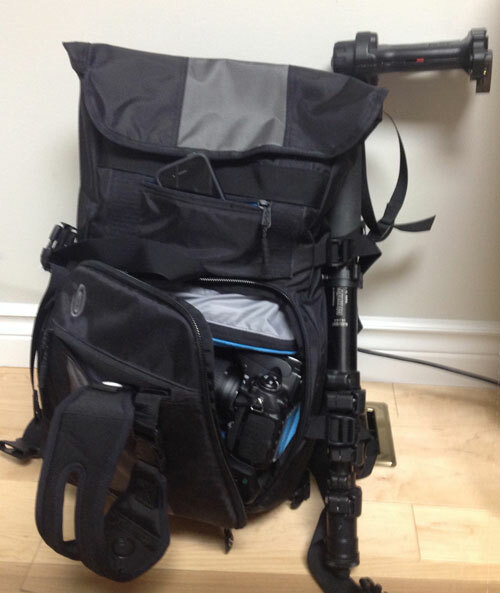 With the Espionage Camera Backpack, I can combine all of my essential gear I travel with in one bag. 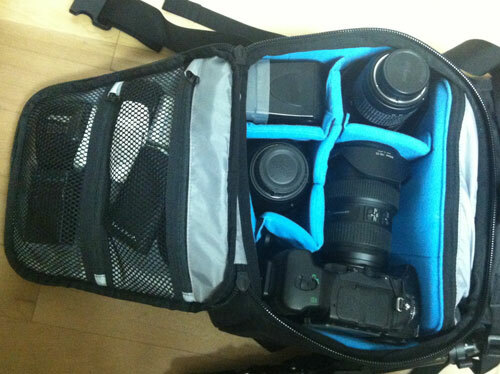 The bottom front section of the bag is divided as a standard camera bag. When you open the top of the bag, there is a rear compartment to insert a laptop up to 17 inches and place some other gear as well. On the side of the bag, you also have straps to attach a tripod or monopod. The interior of both the front and top sections have small pockets to put your chargers, extra batteries, memory cards, and mouse. The top has lots of space to carry some larger items such as an iPad (even an iPad with its own carrying case) and other items you may require. There are two front pockets: one is large enough to place my camera strap and the other can carry my iPhone. On the side, a stretch pocket can carry a water bottle. The back of the bag is padded to add comfort when commuting. But I found the back straps to be short for my large body build or when I have a coat on. I have a Nikon D700 camera, which has a huge body. In my case, I found that the space dedicated to the camera is tight. Nonetheless I can fit it in with a small zoom lens mounted on it (a 16-35mm f4), two other small lenses (a 24-70mm f2.8 and a prime 105mm f2.8), and a flash. Under the flash I have enough space to place my 50mm f1.8. Large lenses such as an 70-200mm f2.8 won’t fit in the bag. 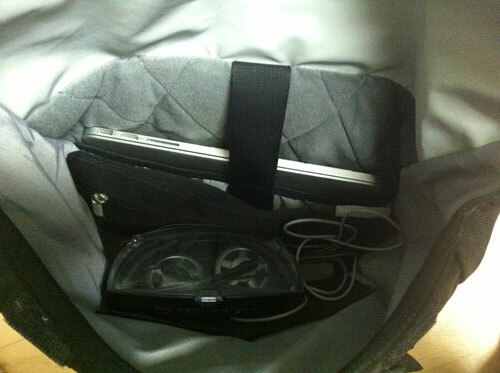 The compartment for the laptop is accessible from the top of the bag. It slides on the back of the bag, behind the camera section. I can place my 15 inches MacBook Pro with retina display inside without problems. But if the camera section is already loaded, I have to work harder to insert the laptop. The laptop compartment is well padded, but I regret that the computer is not entirely covered when in its pocket from inside the top section. If something moves in the top compartment it can strike your computer’s shell. Overall, the Espionage Camera Backpack is well designed. It has become my main carrying case when I need my camera and laptop. With all the stuff I can put in it, this case becomes quite heavy, but is still comfortable to carry on my back. I recommend this type of load for small commutes, as it may become uncomfortable for long periods.